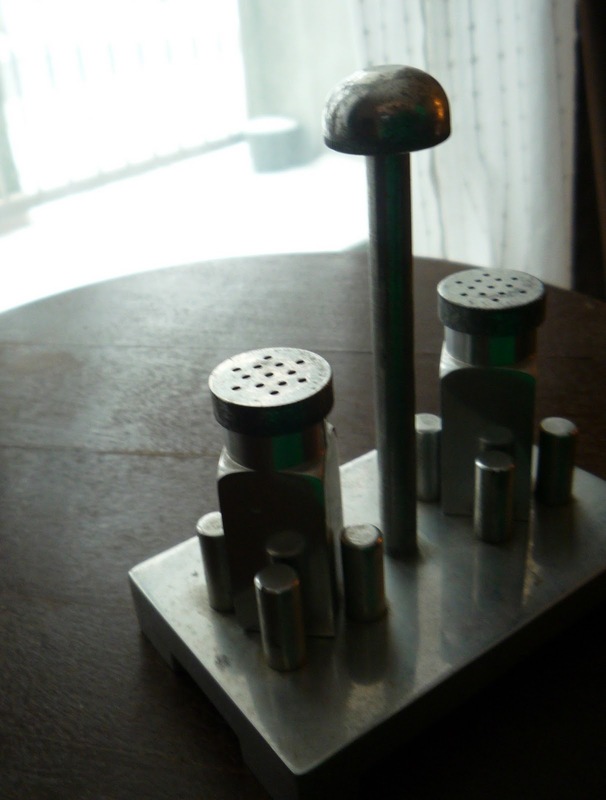 This is a metal salt and pepper shaker. It has no visible markings or etchings on it. I picked this up (and probably paid to much) at a vintage store in Toronto. The owner sold me on it by saying that it was probably a metal apprentice's practical project. I have no idea if that is true or not but it is very well made - so if it is true, I hope they got a good mark on it! I do not use this as I use freshly ground black pepper and sea salt. I have a weakness for salt and pepper shakers. They are usually just so cute I can't pass them up!